You’ve probably heard the word “microchip,” but do you really know what the term means? Basically, microchips are a type of integrated circuit comprised of thousands of capacitates and resistors. Integrated circuits are comprised of semi-conducting material (usually silicon) and can be referred to as a microchip, silicon chip, or computer chip. Microchips are a unit of packaged computer circuitry (known as integrated circuits) that are made on a very small scale. They are made for program logic (in the case of logic or microprocessor chips) or for computer memory (RAM chips). Some microchips are made to include both logic and memory chips for purposes such as analog-to-digital conversion. On a single circuit, there can be millions of transistors, but transistors are just one type of electronic components on a circuit. These can include: transistors, resistors, diodes, and capacitors, organized in a way that allows the sum of the parts to perform a particular function. 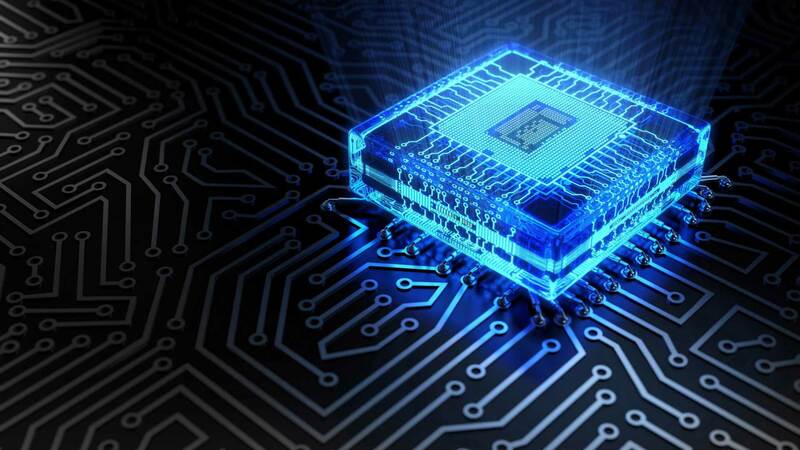 Today’s integrated circuits have about 2 billion – yes, billion! – transistors on them, making them very sophisticated pieces of technology. Each of the components on a circuit performs a certain function. For example, the diodes enable electricity to flow through the circuit, resistors control the flow of electricity, and transistors switch the circuit on or off. Circuits are found in many consumer products that most of us use every day, including home computers, cell phones, and tablets, as well as other applications such as in aircraft, inside traffic lights, and in sophisticated navigation systems. There are several types of integrated circuits. Analog circuits work by processing continuous signals for purposes like amplification and demodulation. Digital circuits work by way of a complication process of binary math. Rather than operating on a continuous series of signals, digital circuits operate through states or levels. Another type of integrated circuit is the memory-integrated circuit. These are the types of circuits that are incorporated into cellphones, televisions, and sound systems. Of all of the types of integrated chips, a computer chip can have the most memory chips, with the other types having fewer. In the past, discrete circuits were mostly used, but these days integrated circuits are the norm. This is because they are lower in cost but higher in performance. The reason for the lower cost is that the components of the circuit are printed through a process called photolithography, they are less expensive to manufacture than other kinds. The increased performance is a result of the switching process taking place more quickly and the fact that the component parts are closer together. Finally, circuits are organized by classification: small-scale integration, medium-scale integration, large-scale integration, and very large-scale integration. There you have it: a very brief exploration of microchips. As we have seen, there are a variety of types and purposes for microchips and, though tiny, microchips are becoming increasingly powerful pieces of technology. More information can be found here: ICRFQ. AMD vs Intel: Who Makes Better Processors?